Chess Battle! 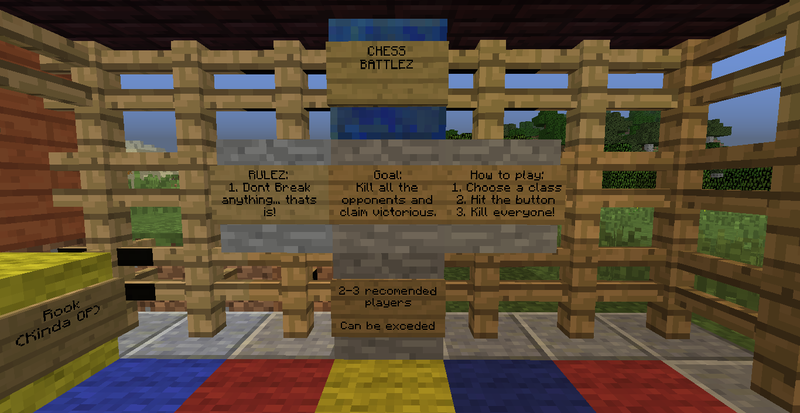 PvP Chess arena! Chess Battles! PvP War! As you turn in to pawns and rooks, you battle it out to be victorious! This is just version 1.0. I'm going try update it soon! Rules: 1. Dont Break Blocks... Thats It! How to play: 1. Choose a class 2. Hit the button 3. Kill everyone!